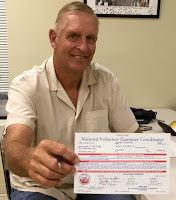 Rusk County Amateur Radio Club: Rusk County resident earns his ticket! 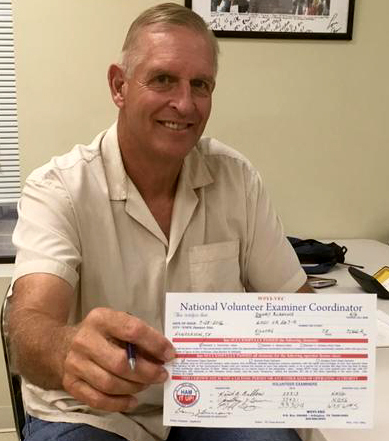 There is another new Rusk County ham this week after Danny passed his Technician license Thursday night before the club's monthly club meeting. Danny attributed his near-perfect score to lots of study leading up to the test. Danny was one of several prospective hams who participated in the club's Technician Class over several Saturday's in April. Now it is just a matter of time until he is assigned a callsign by the F.C.C. All the member of the club congratulate Danny on his accomplishment!